[JURIST] The Kenyan High Court [official website] on Tuesday lifted [AfricanNews report] a government-imposed ban [Al Jazeera report] on protestation after numerous protests against the Kenyan electoral commission. The recent protests were organized by National Super Alliance (NASA), the political coalition that currently stands in opposition to the ruling Jubilee Party [party websites]. After many of the protests turned violent [Bloomberg report], Jubilee Party officials imposed a protest ban on the key business districts of Nairobi, Mombasa, and Kisumu, all areas hit by violent protest. The suit was filed by Norman Magaya, a member of NASA. Justice John Mativo, who presided over the matter, issued the temporary stay on the protest ban which will remain in force until the matter goes to trial and a judgement is rendered. Mativo further ordered that Magaya not be arrested or otherwise harassed by police forces until the matter is resolved. The decision comes after a group of UN human rights experts on Monday urged [JURIST report] Kenya to lift the ban on protests and refrain from violence against protesters in the build up to the national elections. 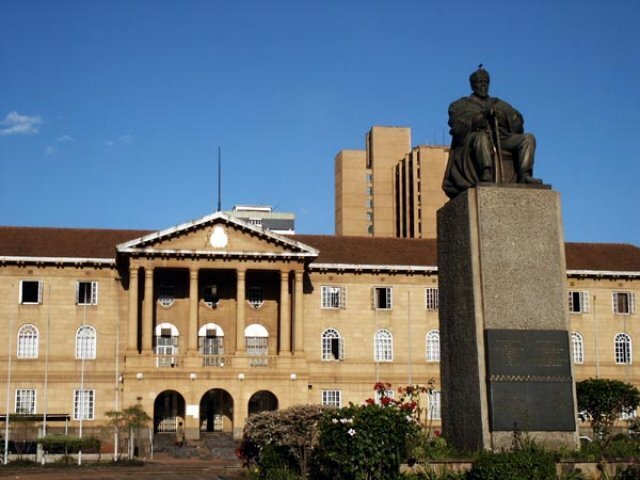 This marks yet another development in a continuing saga, beginning in the beginning of September when the Kenyan Supreme Court invalidated [JURIST report] the country’s presidential election. As the country slowly moves closer to a date for a new vote for president, it remains to be seen if the main opponent to the president will run, after he had previously called for a boycott [JURIST report] of the new elections.